How can I purchase your soap? I am not currently selling my soap. I found the burden of running the business too much on top of my full-time job. You can read more about this decision here. Do you do custom orders and/or special occasions? Not currently, for the same reasons as I have stated above. At this time I am unable to take on wholesale accounts. Thank you for understanding. Will you post a link to my resource? I’m sure your readers will find it valuable. That may be true, but I am afraid I am unable to keep up with these requests and check the legitimacy of all the links I receive. I strongly encourage you to share your resource on your blog or social media. Thank you for understanding. Can I have your recipe? As I am sure you understand, my recipes are something I have labored over quite a bit. I do share some recipes on this blog. Recipes I share may be licensed under Creative Commons. Thank you for understanding. Oils—I have a variety of vendors that I use. My palm oil must be sustainable, so I only purchase from Bramble Berry or Soaper’s Choice, as they are the only vendors I know of who sell RSPO Certified sustainable palm oil. I buy other oils from local grocery stores, Soaper’s Choice, Bramble Berry, and Nature’s Garden. Fragrances—I buy from a variety of vendors, including Bramble Berry, Nature’s Garden, Wholesale Supplies Plus, Rustic Escentuals, and more. I recommend all of them. Lye—The Lye Guy. I highly recommend him. Colorants and other additives—Bramble Berry, Nurture Soap Supplies, Rustic Escentuals, Nature’s Garden. I’ve also purchased additives on Etsy. If you have questions about other items, feel free to contact me. Not at present, but feel free to contact me for opportunities. I do have a YouTube channel. I have a limited amount of time and resources, and I am not likely to offer regular classes anytime soon. Some of them are. Others contain milks, honey, or cruelty-free tussah silk. However, I do not use animal fats in my soap. 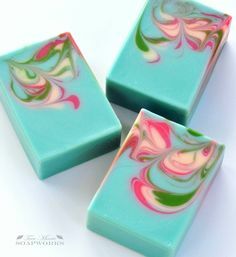 Ingredients are posted on all my listings and all soaps are labeled with ingredients. If you are not sure about a soap, just ask. Natural is not a term that is regulated by the FDA. I don’t refer to all of my soaps as natural because many of them have skin-safe synthetic ingredients, such as colorants and fragrances. In fact, some of these synthetic ingredients are safer than so-called “natural” ingredients. However, some of my soaps are made with natural colorants and essential oils, and I do refer to them as natural. Where did you purchase your mold and dividers? The nine-bar birch mold came from Bramble Berry. 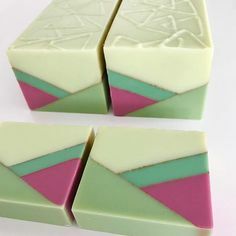 The acrylic log mold came from Make Soap EZ. My silicone molds are all from Bramble Berry, too.